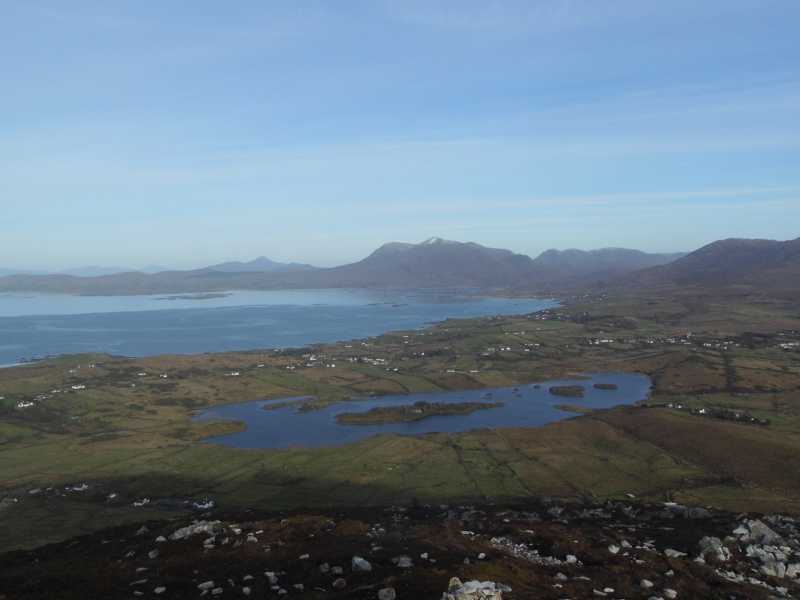 Tully Mountain is sufficiently detached from the Twelve Bens to offer fine views of the range as a whole, as well as coastal views including Inishbofin, Inishturk, Clare Island and Achill. Also known as Letter Hill [TR]. Walks: a route for this peak is described in New Irish Walk Guides by Tony Whilde and Patrick Simms, p. 44. Tully Mountain is the 1040th highest place in Ireland. A gem on the fringes of Connemara.